​Shen Xiaocen still remembers the moment when she received an audition notice for the Chinese version of "Mamma Mia! ", nine years ago in London. 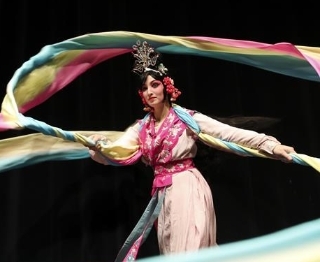 Carrie Feyerabend is one of the US and Chinese artists from the Confucius Institute of Chinese Opera at Binghamton University. Actors of a local Jin opera troupe in Jingxing County, north China's Hebei Province, are busy rehearsing for performances to greet the upcoming new year. ​A poetry-themed Spring Festival gala will be held on Jan. 24, 2019 at the main venue of the Beijing Theater, said the organizer, the Chinese Association of Quyuan (CAQ), on Monday. The first half of 2019 will see the popular live theater program, New Live in China, bring 26 stage productions of different genres from the US, the UK and Russia to cinemas. The China National Peking Opera Company has launched a mentoring program that will see masters of their craft impart skills to young artists when performing classic plays. Deep in Memory will be staged at the National Center for the Performing Arts in Beijing on Saturday and Sunday. 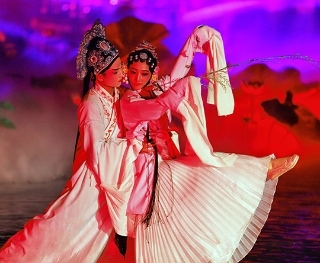 Classic Kunqu Opera performances are incorporated into the staging of The Dream of the Peony Pavilion, an outdoor show in Jiangxi province.